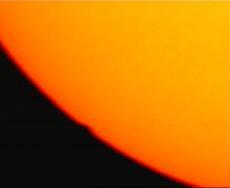 Latest Comment (June 8, 05:32 UT) : The transit has begun in Europe. 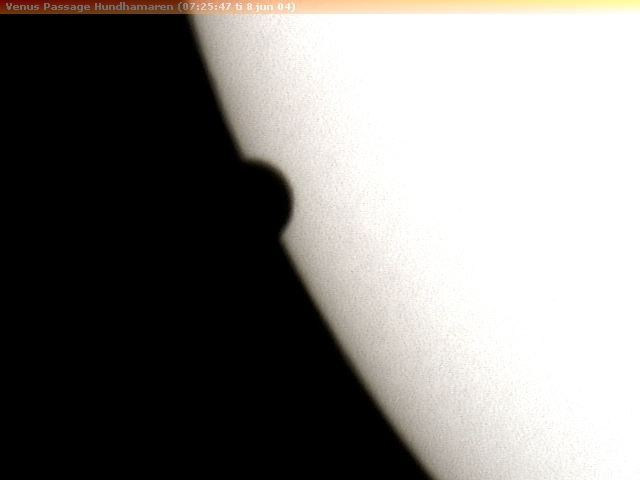 The shadow is visible on images from Trondheim (Norway) and Hove (Belgium), as well as many other sites. 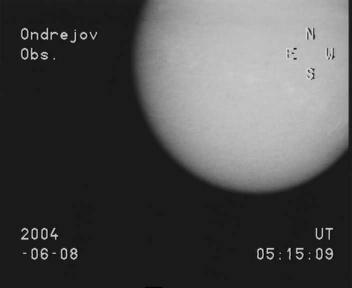 We now show the first images with the Venus taking a "bite" of the Sun. It is obvious that there are rather few sunspots at this moment, so images during the next hours in white light will show Venus' black disc on a quite uniform background. The VT-2004 website is now experiencing about 1100 hits per second (60,000 per minute)!